Our Bamboo is OUT OF STOCK, but we have ordered more! You are still able to purchase it now and we will ship it to you as soon as it arrives. Questions? Please call 1-800-438-5346 or email us at info@Lehmans.com. Saving kitchen scraps for composting often means foul odors in your kitchen. Not any more. We've solved that problem with our compost pails. Bamboo Pail: 11"H x 7 1/8"OD, 3 lb. Has a removable plastic liner pail with handle. Handwash only. Love this thing. I've had this bamboo bucket for many years now and it has held up great. I particularly like that you only have to take the liner out to the garden, not the whole pail. The handle did break off the liner a few years ago, but it's still serviceable. We have sort of abused the liner by putting it in the top shelf of the dishwasher, always diligent about taking it out before the dry cycle. Hasn't melted yet. This is the 2nd Compost Bucket I've had. The first was a bit larger & white enamel. Had it for several years but it didn't hold up great. Paint chipped & it rusted where it chipped. 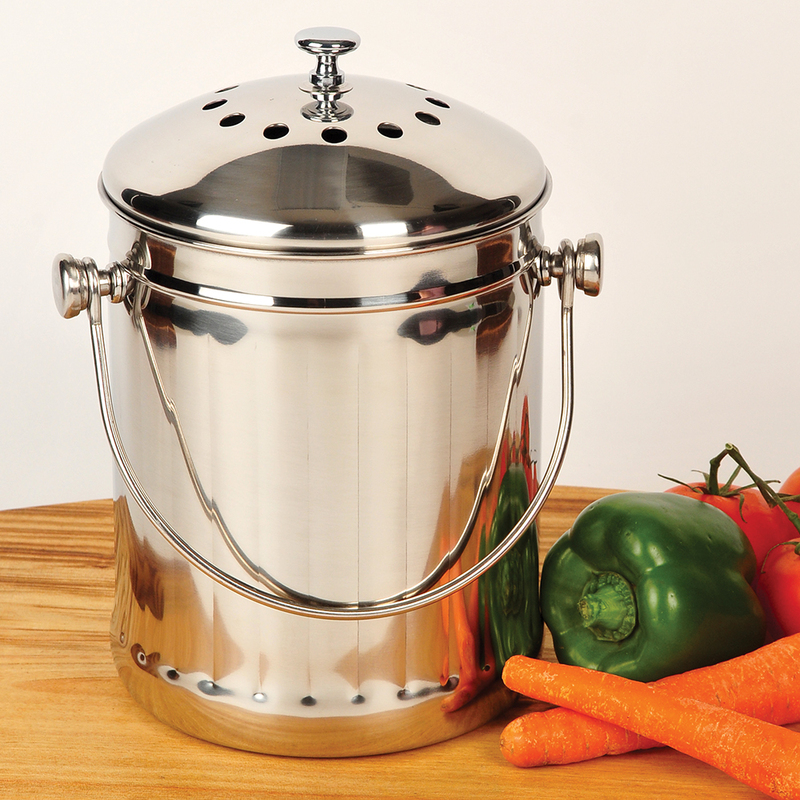 This new Stainless Steel compost bucket is AMAZING! Love it it! A quality product at a reasonable price. Will fit right in on your counter regardless of your decorating scheme. 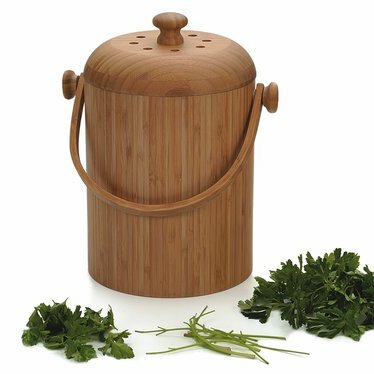 Holds a generous amount of kitchen scraps. I have hesitated to use a compost pail as I figured they would just be another dirty pot to keep clean but this thing is great. It holds a good amount of scraps but it doesn't ever seem to get smelly (I do empty it regularly) and it is easy to clean. I highly recommend it. if you're not satisfied with this product , NOTHING will make you 'happy'. we have left this sit and 'simmer' too long and never smelled a thing . about 2 yrs now . one of the first products we bought from Lehman's . buy and enjoy .